Online businesses should take blogging seriously. Businesses that blog have it easier when it comes to lead generation. People find blogs trustworthy. 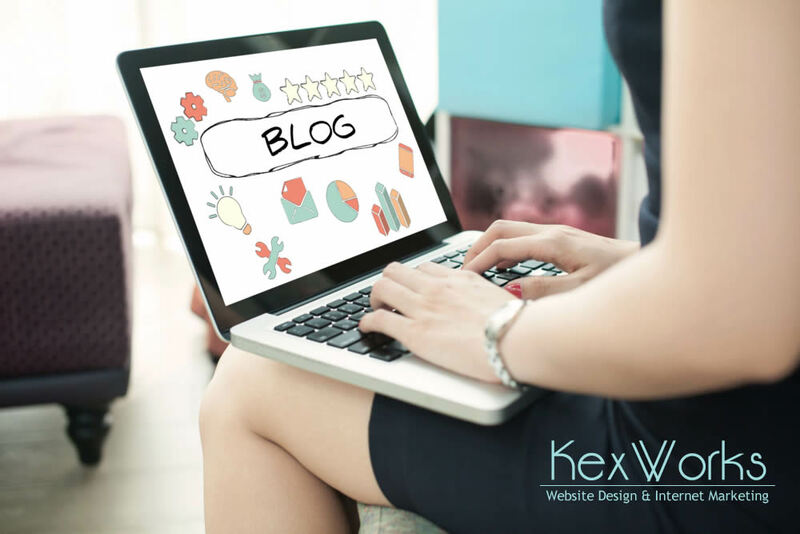 Blogs can influence people’s decision to purchase a product or a service. And there’s a good chance that customers will learn about a business through a blog and not an ad. All of these add up to the fact that blogging has a positive impact on a business ROI, and it can cost next to nothing, as long as you don’t have a problem with doing the work on your own. But for all of its benefits and an uncomplicated appearance, blogging is more than just writing sentences that make for a good reading. Finding your spot in a niche – and keeping it – takes more than simply writing a weekly article. There’s just too much competition for the limited attention span of the readers, and thriving in that environment might need some work. So let’s get started. Before you write a single word of a blog post, you need to figure out what your niche is. You need to have a very specific domain of topics you’ll cover if you want to generate leads. You don’t want to be the business with a blog people visit to learn about the goings in your favorite TV show, the weather in your neighborhood, your thoughts about politics, and maybe something little about your business. You’ll never get a following. You get a following by being specific. You want your blog to become the place people will go to in order to read about a very specific topic. That’s your niche, and that’s where you operate. You should also figure out something that makes you stand out from the crowd, at least just a bit – a USP that makes sure people will not forget your blog that easily. Having a blog is nice, but a business’ blog is usually created for the purposes of achieving a very specific goal. You need to make sure that people who visit your blog are aware of your goal. If you want your content to be useful to you, it has to link back to your business. For example, you can write a series of blog posts designed to promote a particularly popular product that you happen to sell. Something fresh, with a lot of buzz around it. And you’re seeing a lot of traffic on your blog, so you’re happy to see that people are reading your content. But the sales are standing still. You content reaches people, you know there’s a demand for that particular product, but the selling part isn’t going that well. And that’s when you realized that none of the posts you wrote for that product actually contain the information that you’re selling it, or a link to a product page – nothing. Don’t make that mistake. Articles are not the only thing you could post on your blog. There are different types of content that work best for different types of purposes. First, you want to know what the competition is doing, and if you find that something’s lacking in their approach to content, you try to fill that void. So, for example, you see that tips and tricks articles for a product you carry are all the rage, but you don’t notice a lot of pieces that help their readers actually do those tricks and tips. So you write a resource post that covers that. Guides are always good to write, especially when everyone else is focusing on simple articles that do little more than cater to search engines. But why not make it an in-depth guide, something that will give actual value to the readers? Or, if you want to establish your business as a knowledgeable authority in your industry, why not publish a white a paper, or a case study? Different types of content achieve different effects, and if chosen wisely they can set you apart from the crowd. Nothing like organic search to drive traffic to your website, and not like good old search engine optimization to make sure that your content gets found. Blogging and SEO go hand in hand, and blog-crafting efforts will not be worth a lot if they don’t include looking over lots of metrics in order to fine tune your blog for search engines. SEO can be harder for people than writing content, but there’s plenty of resources online for those who’d like to conquer it nonetheless. Plus, you can always hire someone to take care of the SEO side of blogging for you or at least serve as a consultant who will point you in the right direction.